One of the hardest things for any young dancer to do is to be asked to stand still. To be with their body in quiet stillness is the bane of many 20-something dancers' existence. 'I want to move,' they say. What may not be apparent to the naked eye in Susan Klein's work is the immense amount of movement that's happening during her class. Because stillness is never really still. Stepping into parallel to begin each class with a Klein roll down has become my meditation. When I first started studying, it was hard as hell! To be there with my body, with my tightness and my anxious thoughts- it was not easy. But as I pushed through the first few classes, I realized the power I was gaining by peeling back my layers. These "layers" hold years of movement colonization- overworked muscles, unhelpful habits and an utter lack of an anatomical education. Susan has helped me learn that the power of movement doesn't come from the muscles, but comes from the bones. 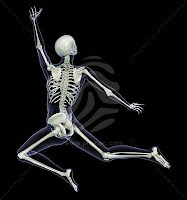 The idea is that by aligning our skeletal structures first, the muscles will follow, not vice versa. As this re-patterning happens, Susan teaches her students how to be "grounded." A popular term amongst dancers and dance educators, she breaks down what being grounded really means- working the connections between the sitz bones and tail bone to the heels- allowing the pelvis to sit on top of the legs without tipping forward or tucking under. 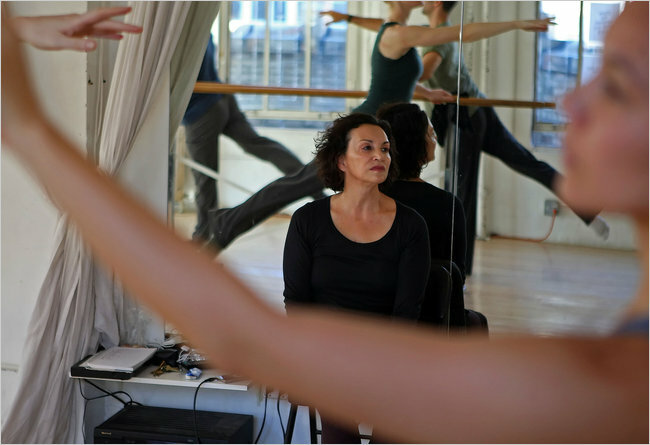 Rather than focus on the abdominal muscles or the "core" (a term dancers have borrowed from pilates), Susan stresses that it is not the center muscles that dancers need to concentrate on in order to gain the floor. It is our skeletal structure that supports us and should, in my opinion, be the focus of traditional Western contemporary dance training. Pina loved good ballet. I think she believed in the ability of ballet training to inform the dancers’ bodies. I think she was partial to the physical attributes of the ballet body: the legs, the feet. She appreciated educated dancers. That is now clear with the ones who have no classical ballet background, but are very schooled in dance from their own cultures. ...I teach technique in a very specific way that isn’t always done in ballet classes. It encourages less muscular tension by placing the bones properly and allowing the muscles to follow. Dancers do not fight with their bodies in my work, they gain function that makes them released in their movement. There is no ballet affectation. It is never my desire to make them better ballet dancers, just better dancers. In that sense, the form works as well as any and often increases the range of movement possibilities. Gaining function by allowing the muscles to follow has become my new mantra as I continue to explore educating my dancing body. After gaining insight into Janet's teaching philosophy, I'm not surprised Pina put her in charge of her dancers. Janet has fostered dancing bodies with some of the most exquisite physical capabilities. Now, if only I can find a way to get Susan and Janet in the same room- a meeting of the minds surely not to be missed! thank you for this blog post! :) I hope to read more of your work.